Welcome to our enjoyable 3-star establishment, located in the charming village of Aubay. Favorable to relaxation and well- being, our hotel and spa in the south of France, will provide you happiness during your holidays. You will found 14 danish chalet at the Villa Vicha, carefully decorated in a chic way. We offer you a choice of different type of chalet : suite chalet, superior bedroom in chalet, quadruple chalet, superior quadruple chalet and family chalet. Moreover, we propose you various overnight stays like the classic stopover, the comfort stopover, premium stopover and stopover and horse riding. In addition to the spa Gard, you will have access to others activities at the Villa Vicha : an escape game, a playground and a swimming pool. Treat yourself to a well-being stay at the Villa Vicha. Our institute use quality product from the brand Thalac and Charme d’Orient. Those products are made with naturals elements for assure you a real softness on your skin. 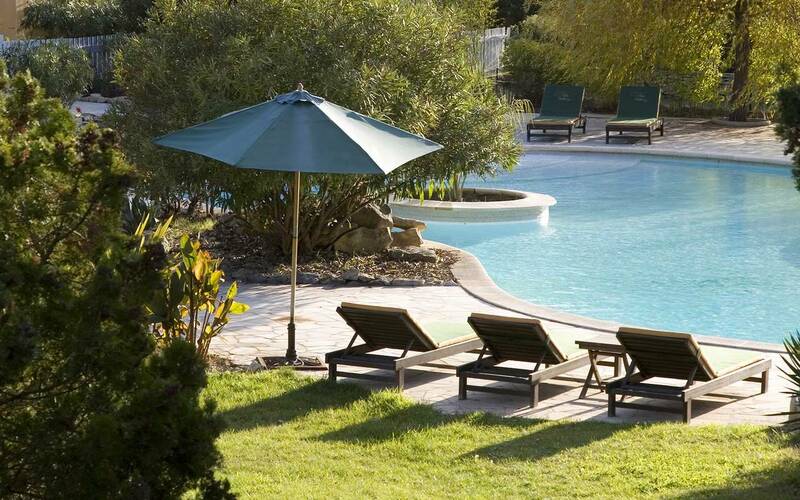 In this hotel and spa near to Nîmes, you will evacuate the daily stress thank’s to our attentive and professional staff. You will found inside our spa : a hammam, a jaccuzzi, a sauna and a swimming pool to deeply relax yourself. Furthermore, a massages area is available ton enjoy resourcing care. In family, between friends or in couple, everybody will be delighted from this perfect trip in this spa Gard. After a long chilling moment in the spa, you will certainly discover the region. Not far from our hotel in Aubais, you will found the mystique Ambrussum, an old Gallic Opidium, located on the Dominitian way on the territory of Villetelle. You can also visit the historic city of Nïmes, Sommiéres, Montpellier which are plentiful of old and impressive buildings. For discover more about the lore of the region, you can visit a wine cellar like the Domaine de Guinand and the domaine de Costes-Cirgues. Finally, why not try yourself on sportive activities like canoe-kayak, paint-ball or treetop adventure course !